This post currently has no tags. If you are this post's author you can add tags on the post edit page. The UK has recently launched a nationwide campaign using shocking art depictions to get the message out that cyberbullying is a serious issue, and that social networking could be a be a promising avenue for change. Bullying prevention charity Beatbullying worked with advertising agency M&C Saatchi as well as youth to create a series of provocative ads that aim to resonate with young people and make them think about their actions as well as what they can do to help make a change. The campaign aims to promote a new social networking site CyberMentors, as the next step to educate victims that there is help available and for the bullies to understand that they can change. 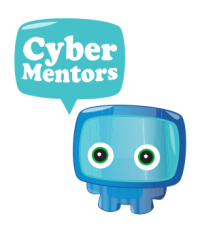 CyberMentors is the first nationwide online peer-mentoring social networking site for young people. CyberMentors has already experienced a great response with about 23,000 young people accessing the site to seek help and support from their peers. Amongst these young people, hundreds have openly admitted to having suicidal thoughts or harming themselves as a result of verbal and/or physical bullying they are experiencing both offline and online. There are also already over 700 fully trained CyberMentors and Beatbullying cyber councillors manning the site in shifts to provide support to victims. Some poster examples below, feature silhouetted imagery of young people who appear to have committed suicide from the barrage of bullying taunts in youth language. soon but have no coding know-how so I wanted to get guidance from someone with experience.